Does your dog over-react to other dogs or people? Does your dog bark to keep them away? Does your dog hide or lunge at new people or dogs? Does your dog have trouble paying attention in new situations? If so, our Reactive to Relaxed class may be the one for you. Maximum class size is 4 dogs, typically with 2 instructors. The goal of this class is to give YOU more tools to help your dog cope with many challenging environments. Students in this class work with their dogs individually. The purpose of this class is NOT to see if the dogs will interact socially. Using Click to Calm, Control Unleashed and Behaviour Adjustment Training methodologies, we teach the dogs to trust their people to make the right decisions for them in highly stressful situations. 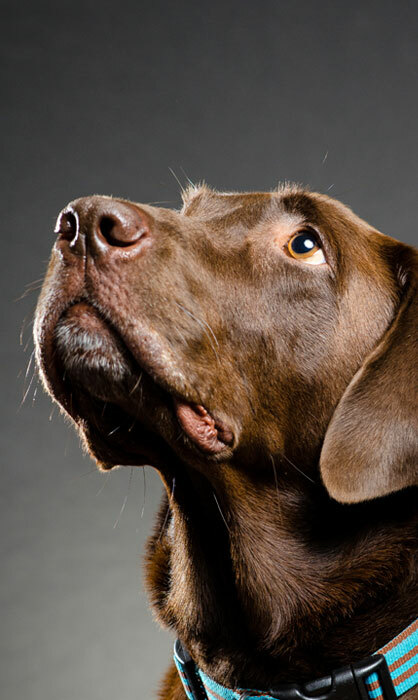 As the dogs become more and more successful, their underlying feelings start to change, and they begin to make more appropriate decisions on their own. They learn how to keep themselves safe by the tools and structure that their people provide. Students need to have a thinking dog at the end of their leash instead of a reactive one. If the dog is thinking then another behaviour can be inserted in place of the reactive one. Instructors have attended “Relaxed and Ready” and “Click to Calm Unleashed” workshops, both based on Control Unleashed as well as workshops by Ali Brown. Two of the instructors are Certified Behavior Adjustment Trainers and one is certified through the International Association of Animal Behavior Consultants. We have worked with numerous fearful and reactive dogs and most of us have over aroused or fearful dogs in our family, which we manage on a daily basis. The instructors will meet dogs before allowing them in class. This group class may not be appropriate for every dog; private instruction may be necessary to help some dogs with their behaviour. a clicker, highly palatable treats, a treat pouch, collars and harness (no prong or choke collars please! ), and sheets to cover our barriers. Reading of Scaredy Dog by Ali Brown is strongly suggested although not mandatory. There are valuable videos in the student resources section of our website as well.